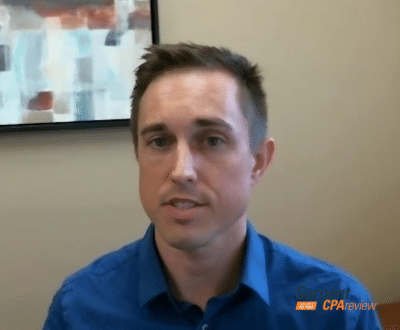 When it came to studying for the CPA Exam with Surgent CPA Review, “It was a world of difference. It was the difference between failing and passing,” Scott Schweiger said of Surgent’s CPA prep course. Schweiger passed the CPA Exam in April 2017, passing the last of 4 sections during tax season. “I was comfortable taking the exam because Surgent’s course mirrors how the exam feels. And if you’re not comfortable taking the exam, you’re not going to do well on the exam,” Schweiger said. Schweiger is currently a Supervisor at Berndt CPA LLC in Madison, WI, where he has worked in Accounting since 2011. Want to learn more about Surgent CPA Review? Sign up for a free 3-day course trial. Looking for more videos from students who’ve studied for the CPA Exam with Surgent CPA Review? Subscribe to our YouTube channel.